And here we are in the third challenge of the week! Will the US or England earn their very first point? Will Germany solidify their incredible leading position as THE VR nation? We will find out soon enough! It is Beat Saber time again! This time, we will play “Escape” on level “Hard”. Again, to take part you must comment on this posting, before Saturday, 1st December, 10pm CET! 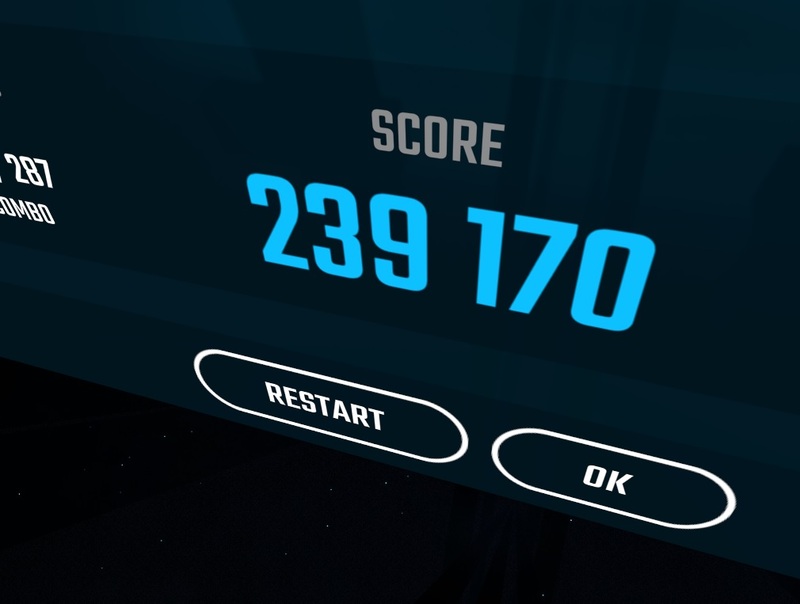 Make sure to link to your screenshot or videoclip that shows your score! MULTIPLIERS ALLOWED! This week there is no price…it is all about fighting for country points! 🙂 Enjoy the challenge! Hi. First challenge I’ve competed in properly. My score is: 238,705. I used the built in multipliers, as I assume we can as you cannot tell if someone has or not. I may update with a better score (if I can lol) eventually. Warriors, join the glorious competition! 😠 I will get you Germany! I need to know in what settings were playing now 😀 im confused..
254 512 – both multipliers. Congrats!! You WON for the US! 3 points for USA! SUUUPER!!! 2. Platz für Deutschland! 2nd Place Germany!!! Congrats!!! 3rd Place for Switzerland!!! Amazing! Best Score again….BUT, I cannot count it, it was too late man! Had to post Saturday before 10pm! Next time!